Rockford Heat 8th Grade-Black Roster POSTED! If, for any reason you are unable to accept your spot on a roster, please contact John Penney ASAP! Mandatory Parent/Player/Coach meeting is Thursday night at 7pm, located at IBEW Banquet Hall, Located at 6820 Mill Rd, Rockford IL. You need to bring the “Athlete Forms” with you, they can be found on the website under the “Club Forms” tab. If you do not have the information for Thursday meeting, please email John Penney. Rockford Heat 8th Grade-Red Roster POSTED! Rockford Heat 7th Grade Roster POSTED! 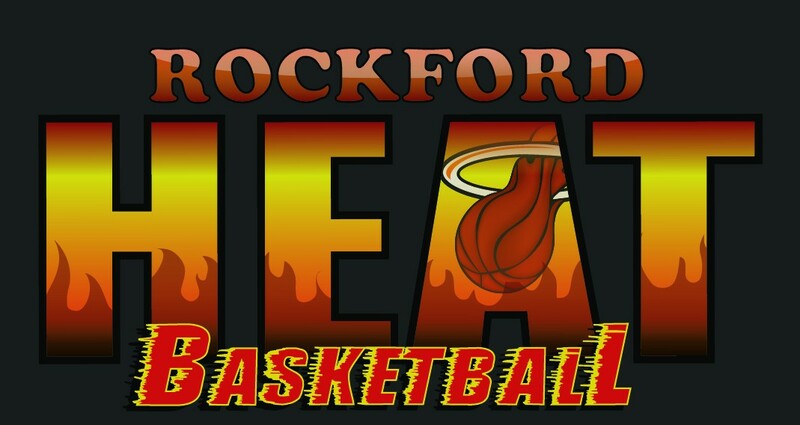 Rockford Heat 5th/6th Grade Roster POSTED! 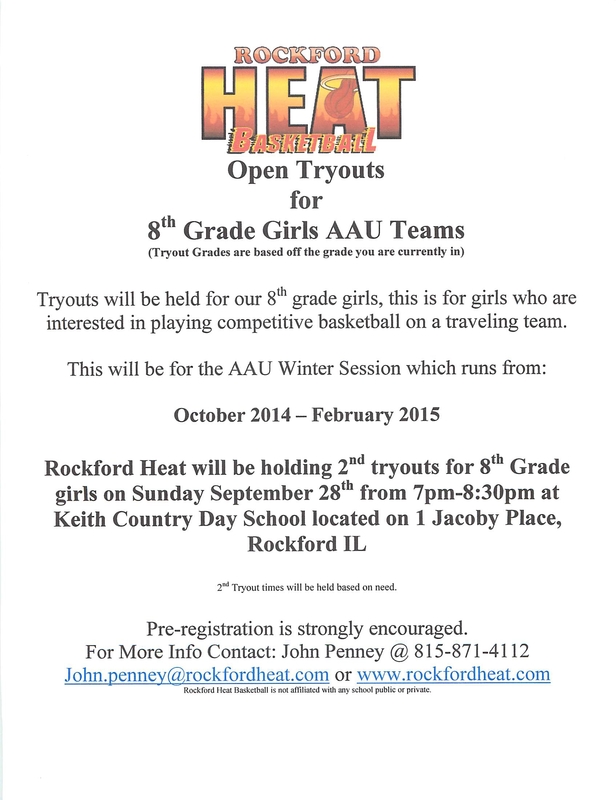 Rockford Heat 8th Grade 2nd Tryouts ANNOUNCEMENT! This is mandatory for all players, this will be the last tryout held. Rosters for the 8th Grade will not be posted at this time. There will be a 2nd Mandatory Tryout date coming soon. Thank you for your patience while we set a 2nd date. Rockford Heat is also looking for a coach that is experience for 7th or 8th grades. Please contact John Penney immediately if there is interest in this position. Rockford Heat Will Start Boys 3rd-4th Grade Team! Rockford Heat will now start a 3rd/4th Grade Boys team. Anyone interested in playing this winter will need to contact John Penney at 815-871-4112 or john.penney. Coaches for this team both have played and coached at the collegiate level. You will not want to miss this opportunity! We will not hold any official tryouts, this will be on a first come, first serve basis.